Growing up, my mother always used home-ground flour in our bread when we made homemade bread. However, there were significant stretches of time were the vast majority of the bread we ate was purchased. My brother or I would usually be tasked with grinding the flour. 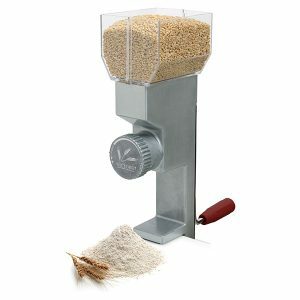 We had a Champion Juicer, and the grain mill we used was the grain mill attachment designed for the Champion Juicer. I’m not sure if my mother kept this set at it’s finest setting, but the flour produced, while acceptable for bread, was coarser than I would prefer for bread, and–in my opinion–too course for anything other than bread. It also made an incredible racket when running. The manufacturer’s web site states that it should only be used for Spelt or Kamut in small amounts, and we wanted to use both of those grains in our bread. However, the biggest reason we did not go with this option is that we do not own a Champion Juicer. My mother-in-law grinds her own flour for her homemade bread, and she uses a mill called The Kitchen Mill. She is quite happy with her mill. It makes good quality bread flour, though not quite as fine as I’d prefer for other uses. It is extremely loud and obnoxious, but it is also fast, so you don’t have to listen to it for too long. Initially, this is what I was planning on purchasing, as it was what my wife was familiar with and it seemed to do a decent job. However, the $300+ price tag was a little steep, so I remained open to other options. My wife has a commercial-model Kitchen-Aid mixer, and I thought that perhaps a good option would be a mill that attached to that. 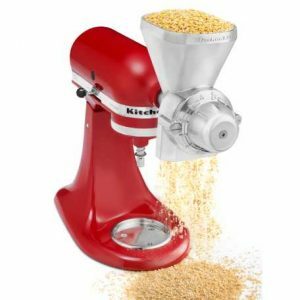 I found that Kitchen-Aid makes its own grain mill attachment for its mixers, but reading the reviews left me less than impressed. 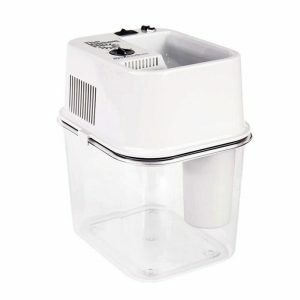 First, many reviewers stated that the bottom of the stand makes it almost impossible to place a bowl to catch the flour, and then many reviewers also warned that you had to be careful not to overheat the mixer. 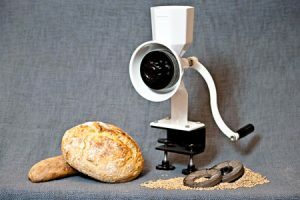 Finally, a number of reviewers stated that they ran their grain through the mill two or even three times to get it fine enough for baking. 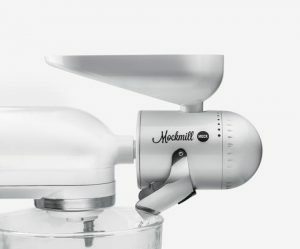 I found another mill designed for the Kitchen-Aid, the Mockmill. It features a spout for the milled flour that directs it into the Kitchen-Aid’s own mixing bowl. It also seemed to have better reviews overall, and particularly when it came to the fineness of the flour produced. I had essentially made up my mind to get this mill, when a lady from church who bakes a lot told us about her mill. It was wonderful, she said. 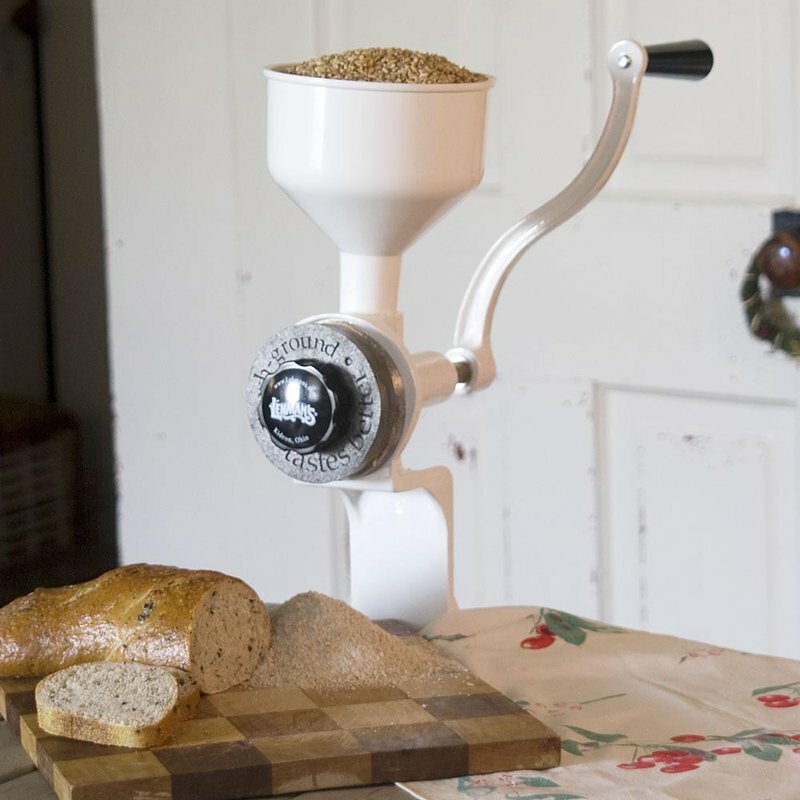 Not only did it make great flour, but you could take off the mill and put on a flaker and make your own rolled oats out of whole oats, or make flakes of other grains. And if the power went out, there was a hand-crank base you could attach the mill to, and then you could operate it by hand. The mill was called The Family Grain Mill, and it seemed to offer several advantages. It certainly wasn’t cheap, but it was modular. You could buy an adapter to use the mill attachment on your Kitchen-Aid, a hand base, and the milling head, and then you would have the ability to grind flour both by hand and under power for a little over $200. While I hadn’t even thought about a hand mill prior to this, I was quickly sold on at least having the ability to operate the mill by hand. We plan to someday build our own place, off the grid, and anytime I can I choose products that can be operated by hand. 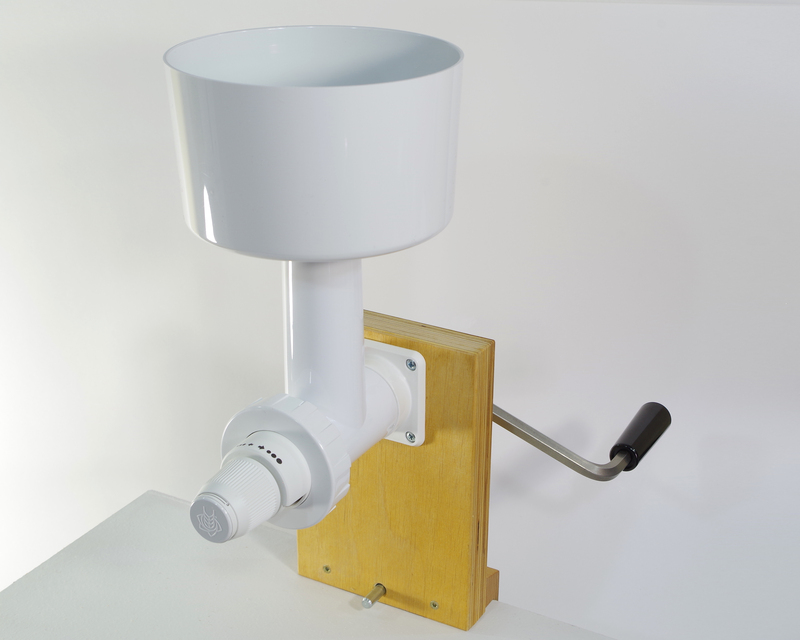 However, as I watched some videos on the Family Grain Mill, I was very dissatisfied with the hand base, which appears to be very cheaply made out of plywood. So it was back to square one, this time looking for a mill that at least could be powered by hand. I found three high-end hand mills that were well out of our price range: the Grain Maker, the Diamant, and the Country Living. Out of these, the Country Living is the cheapest at about $450, but also the worst designed, with the flour exiting so close to the center stand that only square containers can be used to catch the flour. If we had to shell out $450 plus to make our own flour, it wasn’t going to happen for a long time. However, I found three less-expensive hand mills that–while certainly not as nice as the three expensive ones–seemed to be well made and potential options. The first option was the WonderMill Junior, which sells for a little over $250. However, it is currently out of stock everywhere that I found, with no known date of being back in stock. It has a solid metal, powdercoated construction, and offers the advantage of being able to make peanut butter in addition to flour. An optional pulley can be attached instead of the handle, which allows the mill to be driven by a motor via a belt. The reviews were quite good, with the clamping system receiving special kudos. The only downside that I found was that it is made in India. If this had been in stock anywhere, or had a date of estimated arrival back in stock, I may have purchased this. The second option was the Lehman’s Own hand mill. This mill is made in the USA, and sells for $200. I really wanted to like this mill (made in USA), but one major handicap stopped me from purchasing it. This mill, like the WonderMill Jr., can make peanut butter. Lehman’s also offers an option cast iron flywheel for the mill that makes hand grinding easier and also features a groove so the mill can be motorized via a belt. The stones are a bit smaller than the WonderMill, which means a lower output, and the clamp is not quite as good. The hopper is detachable plastic, which I do not like as much as the integral metal hopper of the WonderMill Jr. However, the main drawback of the Lehman’s Mill is that there is no flour guide around the stones–the flour simply drops from between the stones. In watching videos of the mill in action, I saw flour go everywhere, creating quite the mess. This drawback was a dealbreaker for me. The flour should drop into the bowl without creating a mess, and grinding flour should not necessitate sweeping the kitchen. The third, and cheapest option, which I purchased, was the Victorio Deluxe Hand Mill. This mill is made in Tiawan, and we purchased it on Amazon for $73. It is metal construction with a plastic hopper, and cannot make peanut butter. The clamp works, but is not nearly as substantial as the clamp on the WonderMill Jr. The flour guide directs flour right into your bowl, without creating a mess. 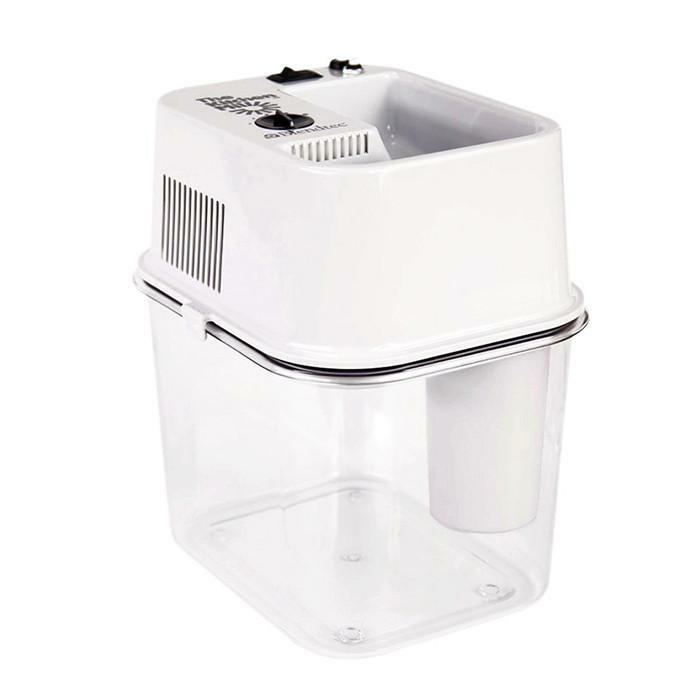 The handle can be removed, and Victorio sells an optional electric motor that attaches in place of the handle to motorize the mill. We have been quite happy with this purchase so far. We were surprised at how fine the flower is. Our spelt flour comes out a pastry-flour fineness, and the bread is wonderful. We were also surprised at how easy it is to turn. Your arm will get sore after a while, but it more from the repetitive motion than from the turning being difficult. We knew the Victorio would be slower than more expensive mills, but we were also surprised at how quickly we were able to grind enough flour for a batch of bread. We used to make large batches of 4-5 loafs, but part of the idea of grinding our own grain is to keep things as fresh as possible, so now we make single loaf batches as a loaf lasts us about two days. 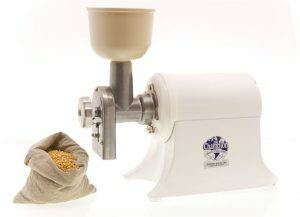 It takes only a few minutes to grind the grain necessary for a loaf. We are quite happy with the results, and I’m also happy to have paid less than $75 for the mill. If you are looking for an inexpensive grain mill that produces fine, pastry-quality flour, I highly recommend the Victorio Deluxe Grain Mill. I have similar mill and can definetly recommend it.